Found this in a copy of a Thornton Wilder play at the library. 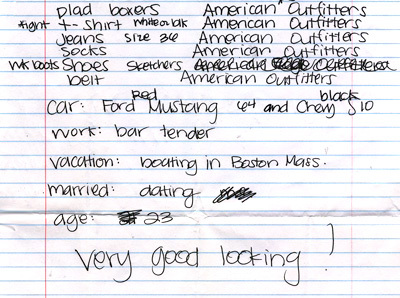 Next to the word dating, whoever wrote this scribbled out “me.” Someone has a very specific picture of their ideal man. Or they’re just a stalker.